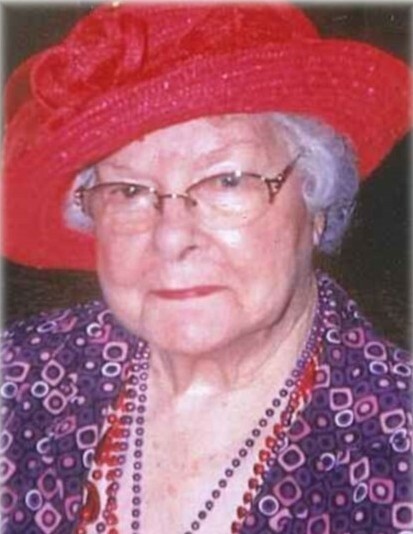 Velma Kathryn Lambeth, 96, of Alvin went home to her precious Lord and Savior on January 28, 2019. Velma began her life journey on September 11, 1922 in Houston where she was born to William H. and Mary Annie (Norment) Crouch. She married Fay Winton Lambeth on April 12, 1938 and they began their life together living in Houston. They moved to Alvin in 1950 and raised their family here. God and family were most beloved to Velma. She was blessed to stay home to raise her boys. She loved to cook and the family will always remember her wonderful meals. She also had a great talent for and enjoyed decorating. She had a heart for serving and for teaching and was an active member of the Women’s Mission Union. She also taught Sunday School for many years to teenagers at one point and women at another. Velma was preceded in death by her husband, Fay Lambeth; parents: William and Mary Crouch; sons: Glenn and John Wayne Lambeth; one brother and five sisters. Left to treasure her memory are her son Donald Lambeth and wife Barbara; grandchildren: Donna Owens, Debbie Elkins, and Tammy Bell; great grandchildren: Marlowe, Mallory, J.P., Brandi, Lindsey, Gina Brown and Cassy McNeil; as well as a favored nephew: Robert and his wife Sharon; dear friend Anita Huerta, special friends at Laurel Court and other family members and friends. The funeral service for Velma will be held on Thursday, January 31, 2019 at 1:00 p.m. at Oak Park Funeral Home.